Healmagz.com - Low-carb diets are very effective. That is ascientific fact. Here are the top 15 reasons why you’re not losing weight on a low-carb diet. If you weigh yourself every day, then there will be days where the scale goes down, other days where it goes up. It doesn’t mean that the diet isn’t working, as long as the general trend is going downwards. Many people lose a lot of weight in the first week of low-carbing, but it is mostly water weight. Weight loss will slow down significantly after that initial phase. It is possible, especially if you’re new to weight lifting, that you are gaining muscle at the same time that you’re losing fat. To make sure that you’re losing, use something other than just the scale (which is a big, fat liar). Use a measuring tape to measure your waist circumference and have your body fat percentage measured every month or so. Also, take pictures. Take note of how your clothes fit. 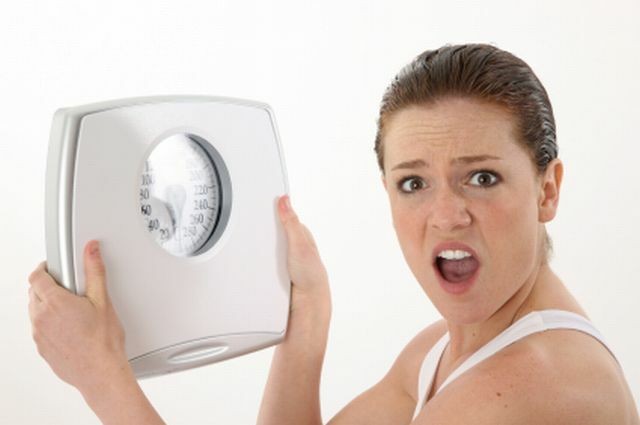 If you’re looking thinner and your clothes are looser, then you ARE losing fat no matter what the scale says. If you’re eating low-carb and your weight starts to plateau, then you may want to cut back on carbs even further. When you go under 50 grams per day then you’re going to have to eliminate most fruits from your diet, although you can have berries in small amounts. To make sure that you’re really eating low-carb, create a free account on Fitday and log your food intake for a while. Unfortunately, it isn’t always enough to just eat healthy and exercise. We need to make sure that our bodies are functioning optimally and that our hormonal environment is favorable. Being stressed all the time keeps the body in a constant state of “fight or flight” – with elevated levels of stress hormones like cortisol. Having chronically elevated cortisol levels can increase your hunger and cravings forunhealthy foods (1, 2). If you want to cut back on stress, try meditation and deep breathing exercises. Cut back on distractions like Facebook and news media, read more books instead. What is also important is to eat enough FAT. If you try to cut back on carbs AND fat, you will end up ravenously hungry and feel like crap. Eating a diet with nothing but protein is a very bad idea. Low-carb, high-fat andmoderate protein is the way to go if you want to get into ketosis, which is the optimal hormonal environment to burn body fat. They are also very high in fat, almonds for example having about 70% of calories as fat. However, nuts are very easy to overeat on. Their crunchiness and high energy density give us the ability to eat large amounts of them without feeling full. If you’re snacking on nuts every day (or worse, nut butters) then chances are that you’re just eating way too many calories. Bottom Line: Nuts have a very high energy density and are easy to overeat on. If you’re constantly snacking on nuts, try eliminating them. Sleep is incredibly important for overall health and studies show that a lack of sleep correlates with weight gain and obesity (3, 4). A lack of sleep can make us feel hungrier (5). It will also make us tired and less motivated to exercise and eat healthy. Sleep is one of the pillars of health. If you’re doing everything right but still not getting proper sleep, then you won’t see anywhere near the results you might expect. Avoid alcohol and physical exercise in the last few hours before sleep. Do something relaxing before sleep, like reading. Try to go to bed at a similar time each night. The amino acid composition in dairy protein makes it very potent at spiking insulin. In fact, dairy proteins can spike insulin as much as white bread (6, 7). In this case, avoid milk, cut back on the cheese, yogurt and cream. Butter is fine as it is very low in protein and lactose and therefore won’t spike insulin. You should NOT exercise with the goal of burning calories. The calories burned during exercise are usually insignificant, they can easily be negated by eating a few extra bites of food at the next meal. Exercise, in the long run, can help you lose weight by improving your metabolic health, increasing your muscle mass and making you feel awesome. But it’s important to do the right kind of exercise. Nothing but cardio on the treadmill is unlikely to give you good results and doing too much may even be detrimental. Weight lifting – this will greatly improve your hormonal environment and increase your muscle mass, which will help you lose weight over the long term. Interval training – doing high intensity intervals is an excellent form of cardio that improves your metabolism and raises your levels of human growth hormone. Low intensity – being active and doing some low-intensity work like walking is a great idea. The human body was designed to move around, not sit in a chair all day. Bottom Line: The right kinds of exercise improve your hormonal environment, increase your muscle mass and make you feel awesome. Despite some sweeteners having no calories, they canaffect our appetite levels. Several studies show that artificial sweeteners can affect appetite, either negatively or positively, in some cases making people eat more overall calories (8, 9). Additionally, consumption of artificial sweeteners is associated with weight gain in the long term (10, 11). This probably depends on the individual, but if you’re eating a lot of sweeteners and aren’t losing weight then you may want to try removing them. Bottom Line: Despite being calorie free, artificial sweeteners can affect our appetite, in some cases leading to a net increase in overall calories. There are certain medications that are known to stimulate weight gain. If you look at the list of side effects for the medications you are taking and see “weight gain” on the list – then make an appointment with your doctor. Perhaps there is another drug available that doesn’t cause weight gain. If you’re doing everything right and still aren’t getting results, then perhaps you have some underlying medical problem. Many hormonal disorders can cause problems losing weight, particularlyhypothyroidism. In that case, make an appointment with your doctor. Explain that you’re having problems losing weight and that you want to rule out any medical issues. Bottom Line: Certain medical issues and medications can cause weight problems. See a doctor to discuss your options. This has actually been studied thoroughly. No advantage has been found to eating more frequent and smaller meals (12, 13). It is natural for humans to eat fewer meals per day and sometimes go long time periods without food. Some people do something called intermittent fasting, eating in an 8 hour window each day or doing 24 hour fasts 1-2 times per week. This can be very useful to break through a plateau. Bottom Line: There is no proven benefit to eating many small meals throughout the day. Try eating fewer meals and consider giving intermittent fasting a shot. If you’re cheating often… either with “small cheats” here and there or entire days where you eat nothing but junk food, then it can easily ruin your progress. Having more than 1-2 cheat meals per week (or one cheat day) is going to be excessive. If you just can’t seem to control yourself around unhealthy foods no matter what you try, then perhaps you have food addiction. In that case, completely removing the junk foods from your life is probably a good idea. Bottom Line: Some people can eat junk food from time to time without ruining their progress, but that doesn’t apply to everyone. For others, cheat meals will do more harm than good. One of the main reasons low-carb diets are so effective is that they reduce appetite and make people eat less overall calories without trying. If you’re not losing weight but are doing all the right things, then try counting calories for a while. Again, create a free account on Fitday and track your intake for a few days. Aim for a deficit of 500 calories per day, which theoretically should make you lose 1 pound of weight per week (doesn’t always work in practice). Bottom Line: It is possible to eat so many calories that you stop losing weight. Try counting calories and aim for a 500 cal/day deficit for a while. It is a marathon, not a race. Losing 1-2 pounds per week is a realistic goal. Some people will lose weight faster than that, others slower. Bottom Line: It is important to have realistic expectations. Weight loss takes a long time and not everyone can look like a fitness model. I don’t think it’s a good idea to be in a calorie deficit for too long at a time.